Underwrite at proposal time, or claim time? When does your client want to have the drama with their insurance company? At underwriting time, or at claim time? An confusing facet of the life & personal risk insurance business is the perception that some companies are easier to do business with than others due to underwriting processes….and while that is true to a degree, it is not always as simple as it seems. To be sure, different insurers have different retention levels, make some different morbidity and mortality assumptions occasionally, and they definitely target different parts of the consumer-market with their pricing and underwriting terms. These factors undoubtedly make a difference to the underwriting process for any personal risk proposals. 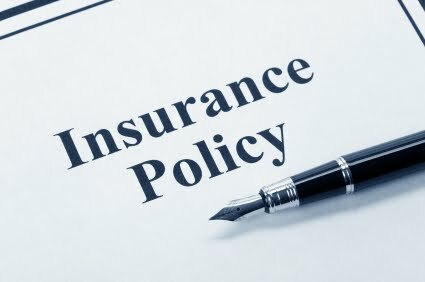 However, regardless of different insurers views of the variables to be given particular weight during the underwriting process, there remains a comprehensive underwriting process that will be employed. The question is simply whether the risk will be fully underwritten at proposal or at claim time. We have seen in recent years some insurers remove the barrier to business for advisers by streamlining the underwriting process – some even going so far as to do extremely simplistic underwriting of perhaps 5-10 questions. That type of underwriting effectively identifies only immediately impending claims, which of course are risks that are not taken on by the insurer. The insurer simply avoids taking on those immediately impending claims and declines the proposal outright. What about all the other policies it does accept with minimal underwriting though? The reality is that the majority of the easily underwritten cases will be medically underwritten in the event of a claim. That of course is just the time that a client or an adviser doesn’t want problems. Contrast that with the philosophy of fully underwriting and assessing the risk in full at the time of proposal. In the event of a claim most of those types of cases do not require full medical underwriting to settle the claim – it has been done at the outset, the risks appropriately weighed up and priced, and a high degree of certainty provided to the client. Sure there will often be some medical evidence required to validate the claim, but the claims managers are not going through the entire medical history looking for problems to include in the decision on how to process the claim. The difference between the two philosophies is a fairly stark one: higher claims certainty versus higher immediate convenience. It may be that a client, or an adviser, will knowingly decide that immediate convenience is preferable to higher claims certainty, and therefore work with minimal underwriting to put some cover in place. They take their chances at claim time of course, but it makes doing the business easy. For most clients, and for their advisers, there is greater merit in working with a full underwriting process at the outset despite the time it takes and the hassle it causes, and the difficulty in obtaining the required information or even reasonable terms for the client. Because in doing so right at the outset, before a contract has been entered into, the client can create greater certainty that the product will perform at claim time as expected. It makes doing the business harder, but will usually make handling the claim easy. For the adviser, there is far greater certainty that their advice and process will stand scrutiny well with a full underwriting process at the outset. In the underwriting battle between claims certainty or immediate convenience, The better bet is on taking the inconvenient path at the initial underwriting stage for better long term business relationships and product performance at claim time.